Crafted with fresh-picked, extra-large berries, these chocolate-covered strawberries are hand-dipped in pure Belgian white chocolate. An elegant, expertly crafted treat with a sweet pastel touch, this gift is a unique way to commemorate a birthday or a new baby girl. 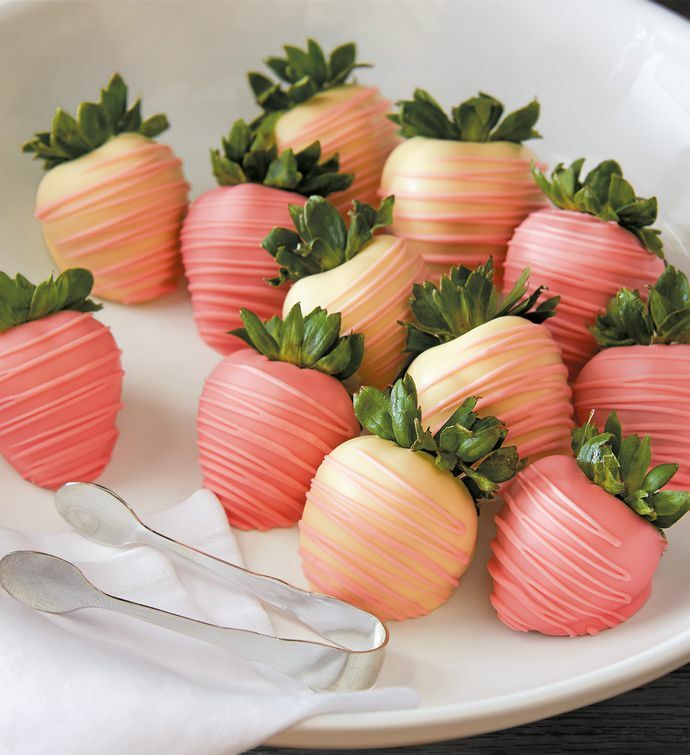 Includes one dozen large strawberries dipped in white chocolate: six completely pink and six dipped with pink stringing.